This new bombproof Downhill/Freeride/Enduro rim is available in 27.5” and features the same super wide profile as lighter Enigma Roll rims. The difference between the Rock & Roll models is 50g of material added to reinforce the already bombproof Roll rims. 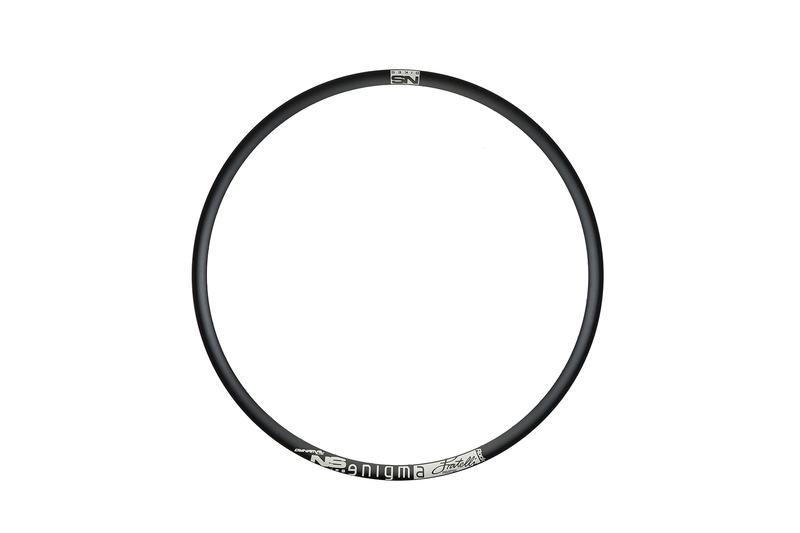 The Enigma Rock is perfect as the rear rim for an Enduro setup, with a lighter Roll rim in the front, or as the front and rear rims in a Downhill racing bike. The new rim features a super wide 35mm profile that works perfectly with bigger tires and gives them more stability and a correct profile. The Dynamal material offers superior mechanical properties, such as increased ultimate tensile strength and yield of the material. In short, it's way more stiff than standard alloys used in most rims on the market. A sleeved connection results in a strong and impact resistant rim and also saves weight due to the specific rim profile. 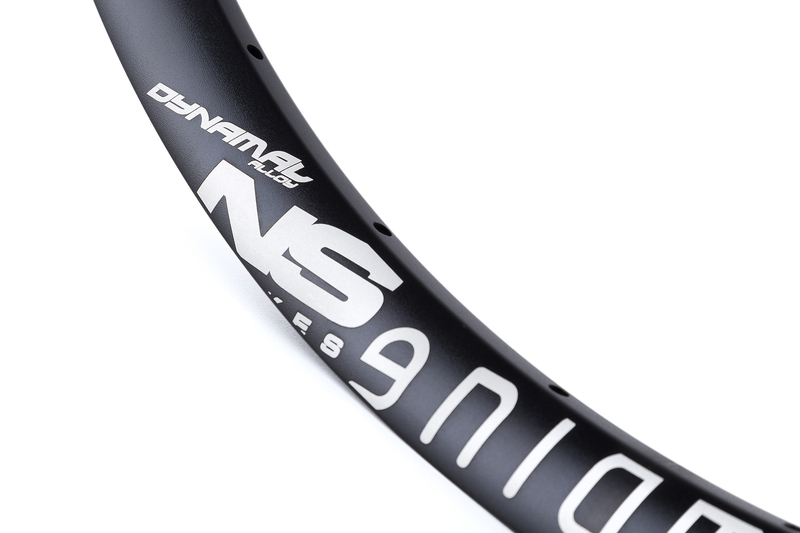 A high-end graphic application technique makes these rims really stand out from the crowd, and wide, pressure resistant NS rim tape completes the package. Tubeless ready. A special bead design secures all tires even at low pressures and reduces pinch flats with standard tubes.